The existence of America’s arguably most loved fighter in history, is oddly enough thanks to the British. After the annexation of Austria by the Nazis, the RAF felt trouble brewing beyond the horizon. With the already existing supply line of North American Aviation Harvards, this proved for a jumping board to receive new fighters. 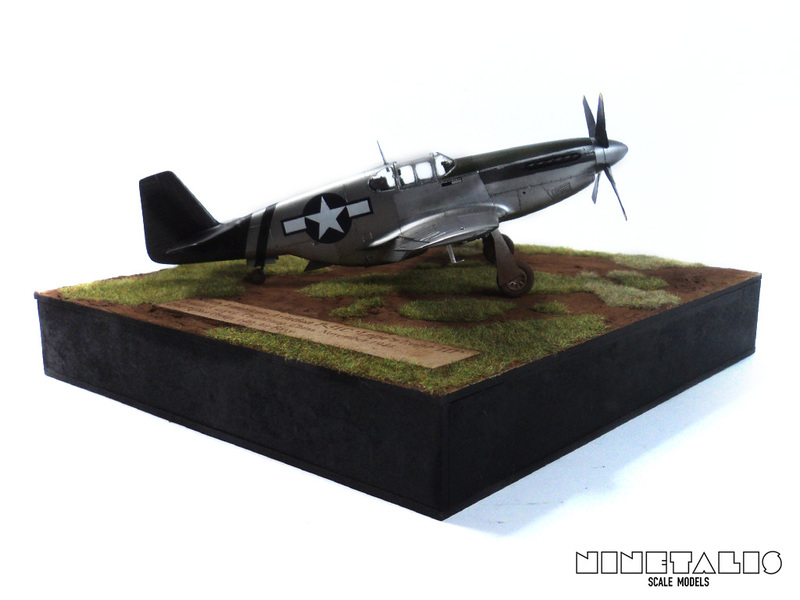 A supply line of British build P-40’s was requested. NAA came back with the proposal of an all new fighter, of which a construction line would be easier to establish. 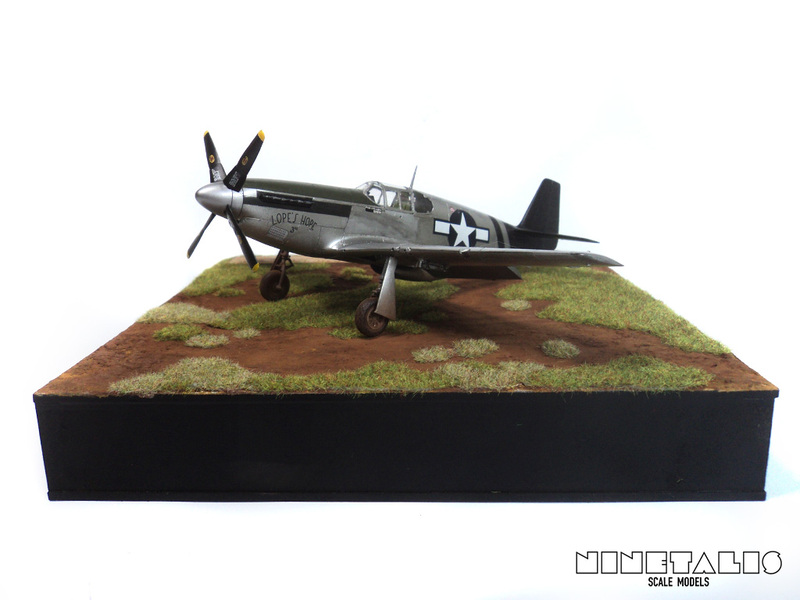 This was the P-51. 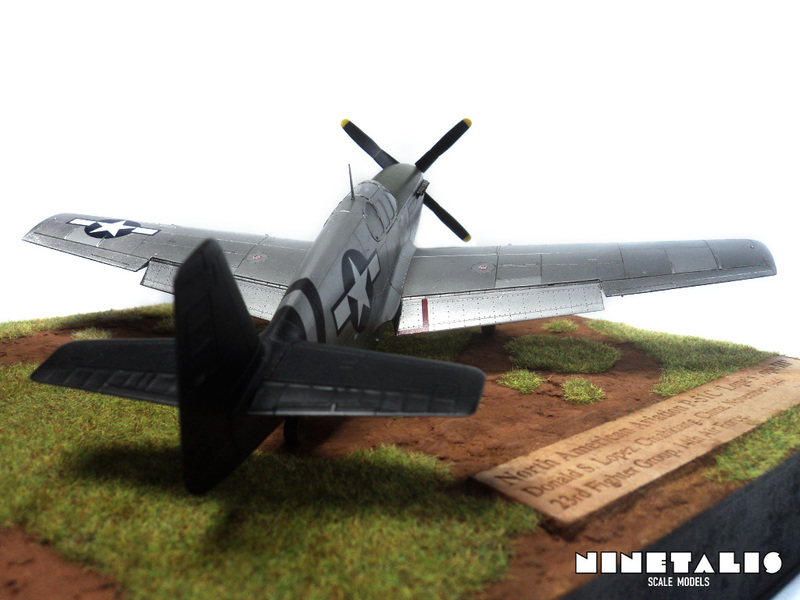 In total, 1,750 P-51C’s were produced in Dallas, Texas. 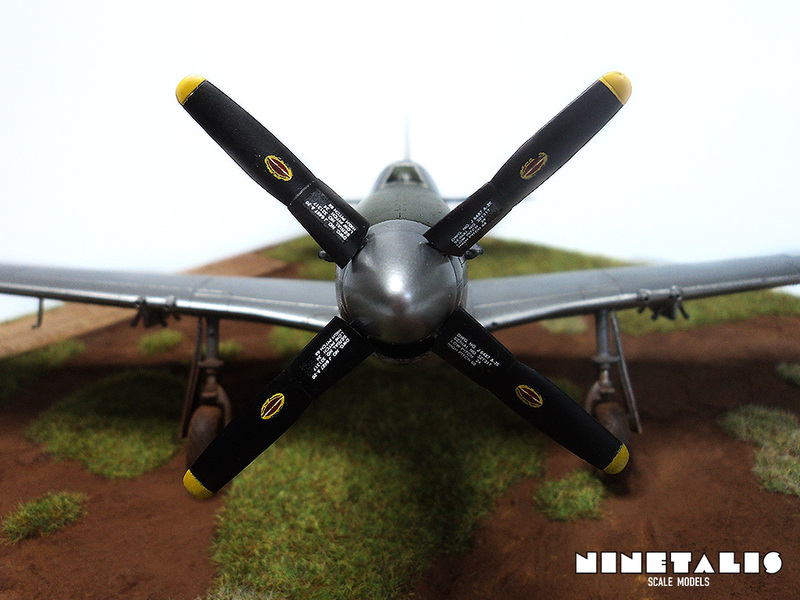 Little over 650 of these ended up serving in the RAF, while most USAAF aircraft ended up serving in Europe and the China-Burma theater. 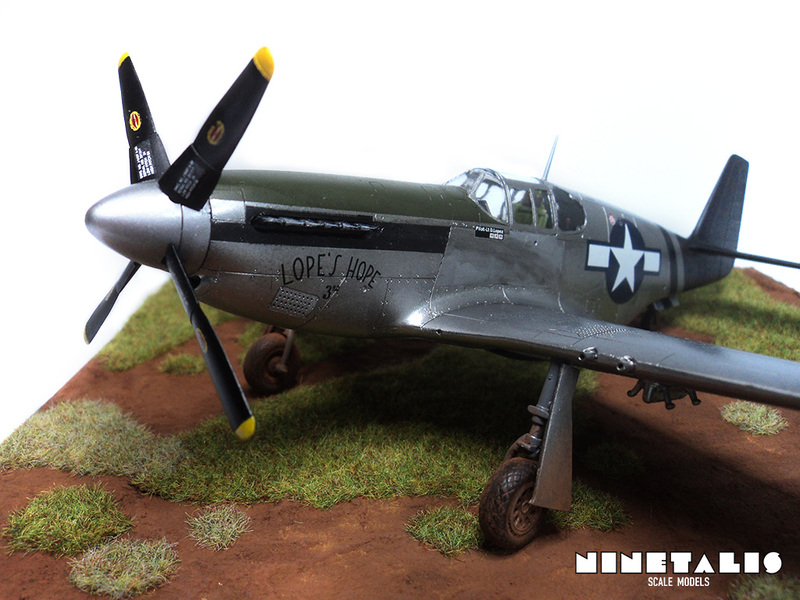 This machine was the personal aircraft of pilot Don S. Lopez, who first served as a member of 23rd squadron, and later as the operations officer of 75 FS based in China. 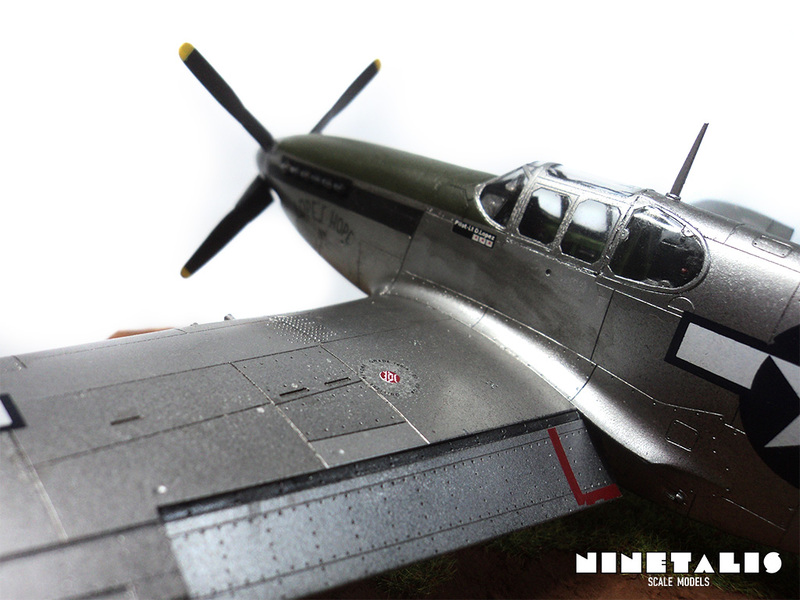 He ended the war as an ace with 5 confirmed kills of Japanese fighter aircraft, four in a P-40 and one in this very P-51C. After the war he served as a test pilot for the US Air Force and as engineer for the Apollo and Skylab programs, before joining the National Air and Space Museum in 1972 as assistant director for Aeronautics, where he worked his way up to become the museum deputy director. In 2008 Donald passed away because of a heart attack at age 84. 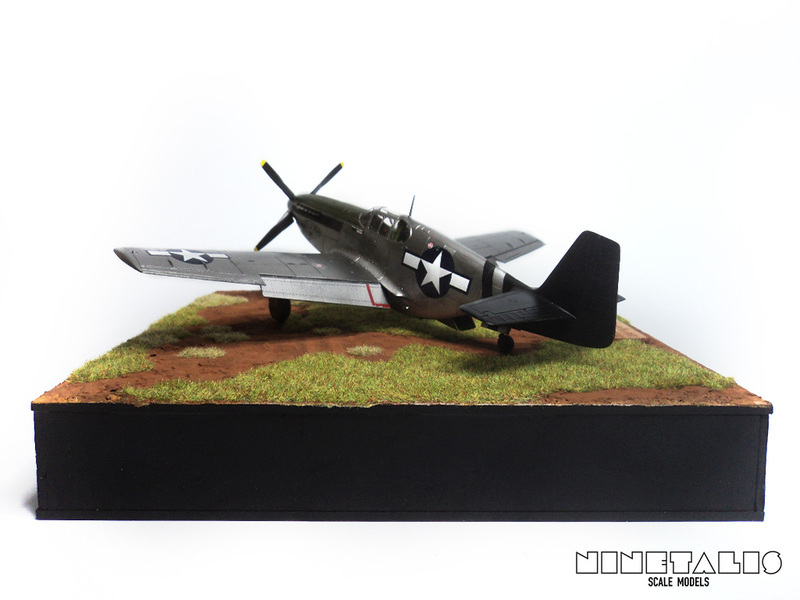 The kit used for this model was Tamiya’s P-51B Mustang, together with the Aeromaster S.E. 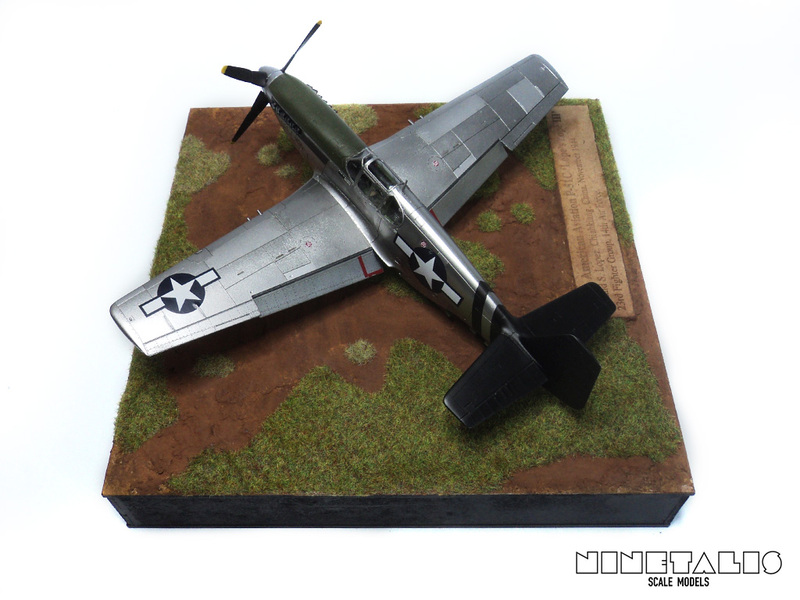 Asia Mustangs ’23FG P-51’s part II’ decal sheet. 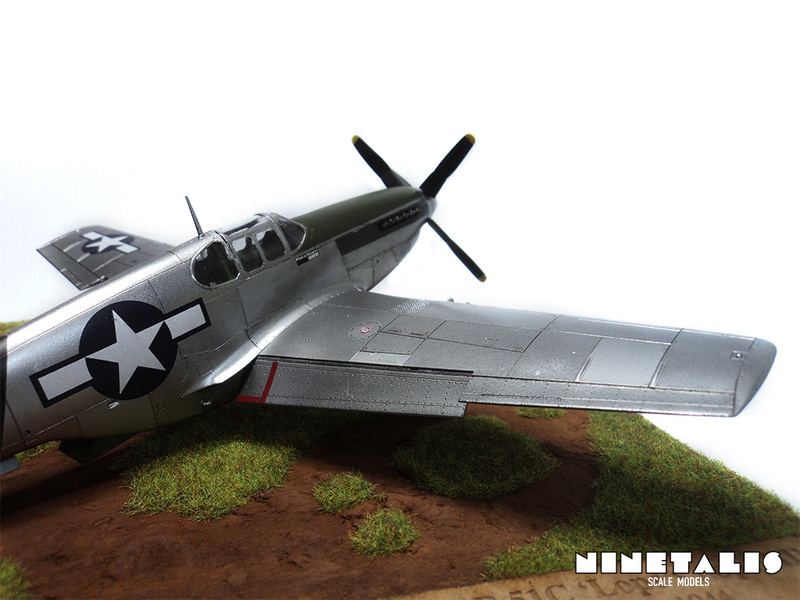 Since the B and C variants of the P-51 do not have any exterior differences, there was no additional material needed to create this aircraft. Given the fact that I had an aftermarket decals sheet, I still used the insignia’s of the kit because they seemed to have better color quality. The kit itself builds like a dream. I can honestly say this was the easiest kit I’ve ever build. I was literally able to put the main pieces of the aircraft together and it would still stand up on its own without falling apart. 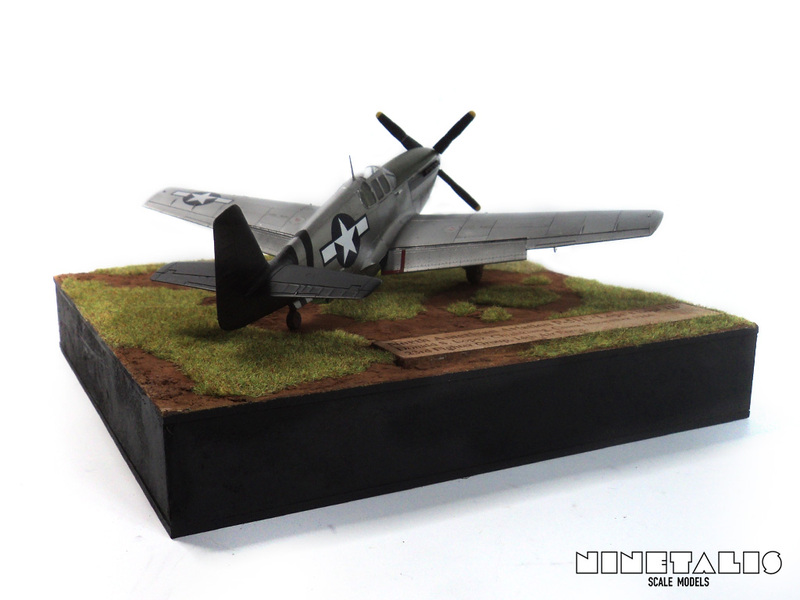 The diorama is as usual custom build. The ground work was created with wall filler and painted with powder pigments. Berka grass was added as a final touch.